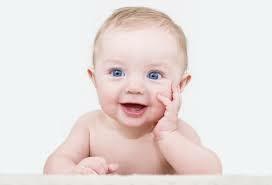 Baby's are the cutest things and it sure is fun to try to determine what it is their expression is trying to convey. I've added a few thoughts of mine about the photos below. Why don't you add your thoughts in the comment section so all can see how many different ideas can be found. I'll do this each Monday so look forward to seeing the new photo and comments. Enjoy! Now let's see, what do I want to eat? Milk maybe? Do I have to explain this again! Hey Mom, you're looking good. Yeah, that does look good. I hope you enjoyed today's funny baby comments. If you are looking to find a baby carrier, it would be appreciated if you would check out my store (just click on the word "store" above). Thank you for visiting my blog and hopefully visiting my store.